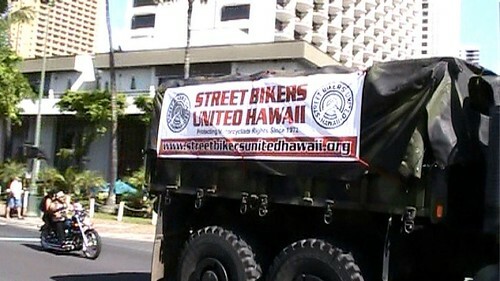 Street Biker United Oahu hosted the 37th annual Toys for Tots motorcycle parade December 4, 2011. 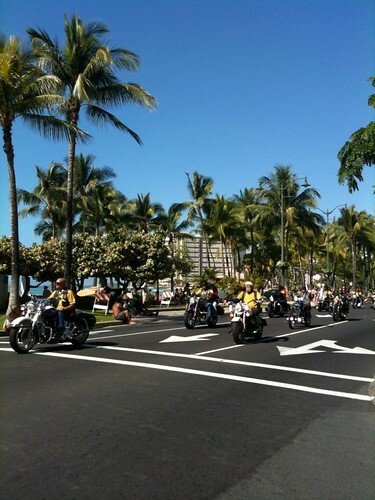 The ride starts in Honolulu at Magic Island continues through Waikiki ending at Kapiolani Community College. Marines collect the toys which are distributed to Hawaii girls and boys. This event is organized by President Rick Davis and Public Relations Officer Ray Pagan of the Street Bikers United Oahu chapter. 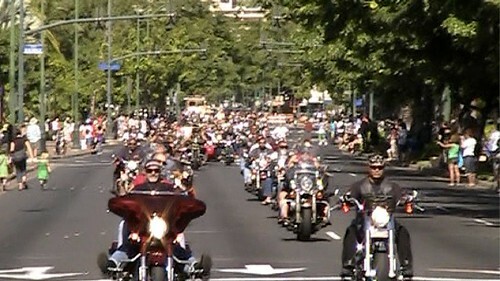 About 4,000 riders from all over Hawaii, mainland and Japan participate. Tourist in Waikiki stop to watch the bikes as the roll by many with large toys on the front or back. 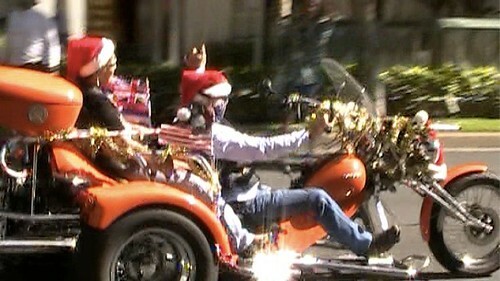 Riders often dress in holiday garb. 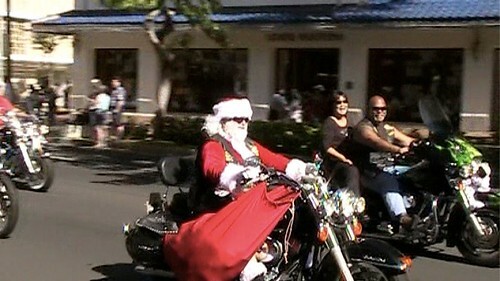 Click on the image below to see video of the 2011 Toys for Tots ride in Honolulu. Early Saturday mornings the crowds begin to gather at the Saturday Kapiolani Community College Farmers Market. Vendors set up early for shoppers who arrive as early at 7 AM to select their fresh produce. Purchases can not be collected until the air horn goes off at 7:30, announcing the official opening. Local farmers bring fresh tomatoes, papayas, greens, apples, oranges, pineapple, onions, potatoes, sweet corn, mangoes. Treat yourself to exotic foods like Dragon fruit, ramubtan, dragons eyes, purple potatoes, cherimoya. Tables are covered with colorful orchids, tropical flowers and we see customers leave with huge bouquets. Other delicacies include honey, salsa, kettle corn, pastries and breads. 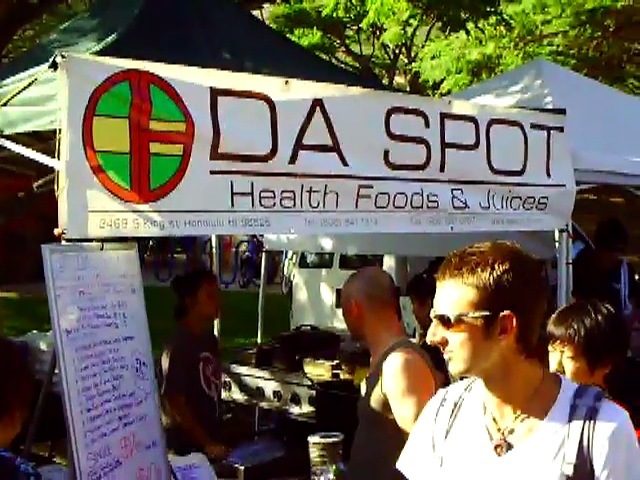 When you finish shopping, treat yourself to breakfast from one of the many food vendors. Crowd favorites include Kona coffee, heirloom tomato pizza, Egyptian chicken, fried green tomatoes, Portuguese sausage and eggs. The Hawaiian staple, loco moco plates include a scoop of rice, scoop of macaroni salad, eggs all smothered in gravy topped with meat, often hamburger. There is but one picnic table in the park to sit and eat your meal. Best bet is to find a curb or a spot on the retaining wall to eat. Bring a straw mat and enjoy a picnic on the grass. By 9:00, the crowds are so thick is hard to navigate. 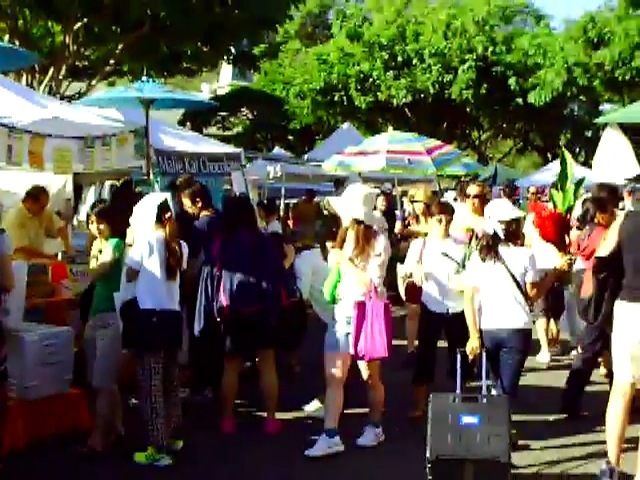 The KCC farmers market is popular with Japanese tourists who arrive by the busload. Bring your own reusable shopping bags for comfort carrying your purchases through the market. The small parking lot fills up quickly. KCC is a short walk from the Diamond Head side of Waikiki. The college is located across from the entrance to Diamond Head state park. Convenient Public transportation via The Bus drops passengers off and picks up in front of the farmers market. Ask for a transfer and your return trip is free. We stopped by Diamond Head Memorial Park to pay our respects to Kam Fong who played Chin Ho Kelly on Hawaii Five-0. The cemetery sits at the base of Diamond Head and next to Kapiolani Community College. The head stone appeared milky colored and hard to read as the morning dew clung to the inside of the plexiglass shield protecting the etching. The Hawaii Five-0 logo is engraved on the right side of the headstone. 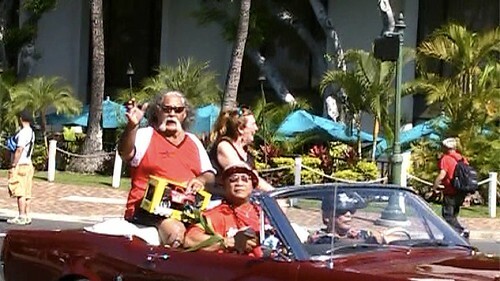 as Kono Kalakaua. Book ’em, Danno! Here is a video of our visit to Kam Fong’s grave at Diamond Head Memorial Park.